Spend less time waiting and more time doing with the fastest charger on the DIY market in your arsenal. 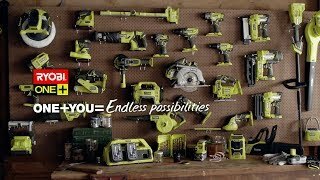 The Ryobi 18V ONE+ super fast charger takes charging batteries to a whole new level. Powering up a 5.0Ah battery in just 60 minutes, this household hero will mean you don't have to wait around to get back to the task at hand — it will have your tools up and running in less time than it takes you to make and eat lunch. Featuring an LED status indicator, a USB port for speedy device charging and a wall-mountable design, this fast charger is an essential for any dedicated DIYer. Compatible with any of our 18V ONE+ batteries, this charger is more than capable of keeping all of your ONE+ power tools ready to go. Get your 18V ONE+ super fast charger from Bunnings Warehouse today!